With our last Custom Build being from the US, this time we decided to bring things back across the pond and create a British Weapon perfect for your British Airsoft Loadouts! 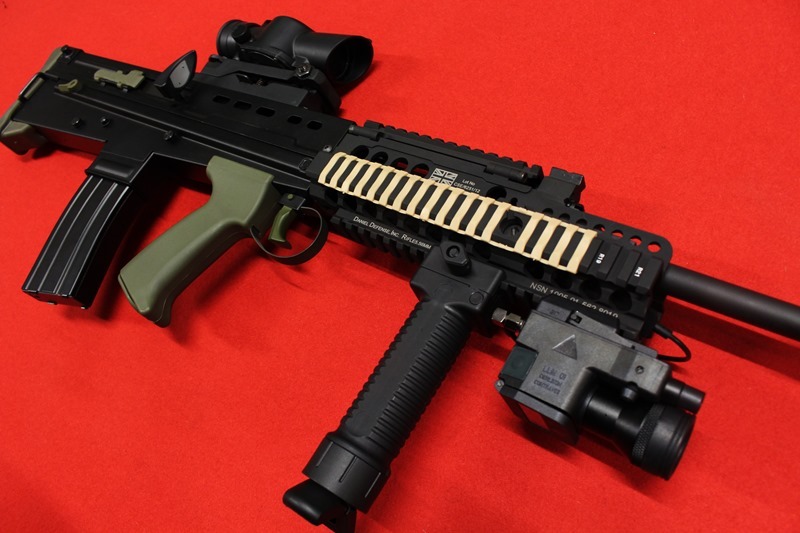 A Custom Afghanistan War Inspired L85a2, a replica of the modern day rifle configuration seen in the hands of British Troops. But thats not an AK..? Moving back onto this weeks restocks, we’ve decided to shed some light on a rather unusual choice of rifle: The Nuprol Delta AK21. 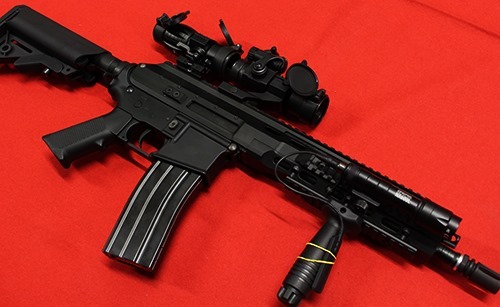 This odd but familiar Frankengun is another unique rifle for those looking for something that feels familiar as an M4 but can still stand out amongst the crowd. Available in both Black and Tan, the AK21 can also vary in size with a standard 18" Barrel Variant and also a CQB variant which sports a 10.3" Barrel. Using a standard AR Style Lower receiver, the AK21 AEG uses a proprietary upper with a monolithic mil-spec upper rail for the mounting of optics and accessories. (The weapon comes with removable cantered iron sights.) With rails along the sides and bottom its easy to tailor the weapon to the users requirements. As you can see we have kitted out the two guns accordingly, with the CQB better suited for close combat with a magnifier for unexpected medium range engagements. 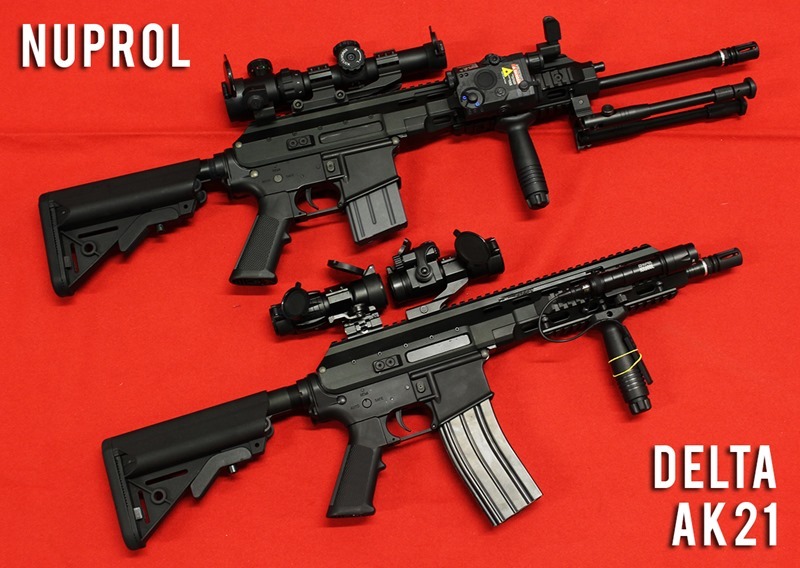 Meanwhile the 18" standard variant is set up more as a DMR style rifle with an adjustable short dot scope, Bi-Pod and PEQ light and laser unit to assist aiming. Overall the Nuprol Delta AK21 is a fantastic choice for those of you after something a little different. Made of a solid full metal construction, with fantastic internals to boot, this weapon is both rugged and reliable. Rounding things off we’ve got some new accessories for you wannabe Assassins out there! 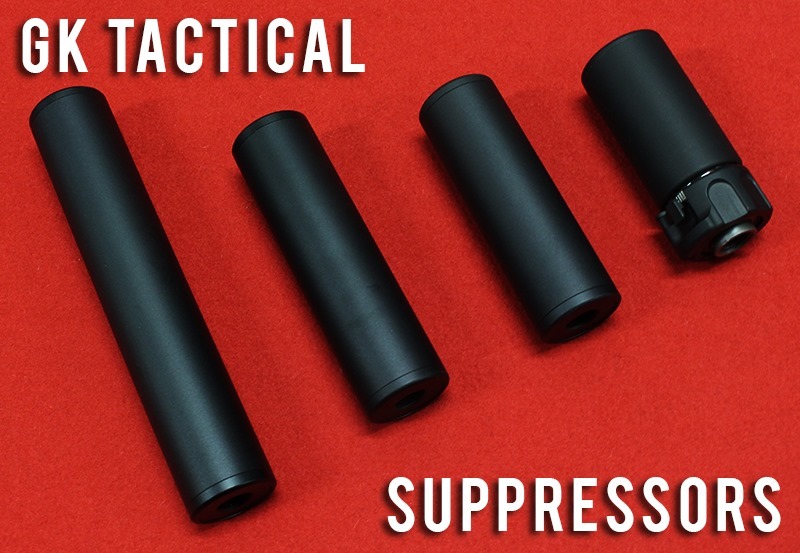 GK Tactical Mock Suppressors! Available in a variety of sizes, these mock suppressors are a perfect addition to give your weapon the covert look. These mock suppressors also work great for concealing an extended inner barrel if needs be! 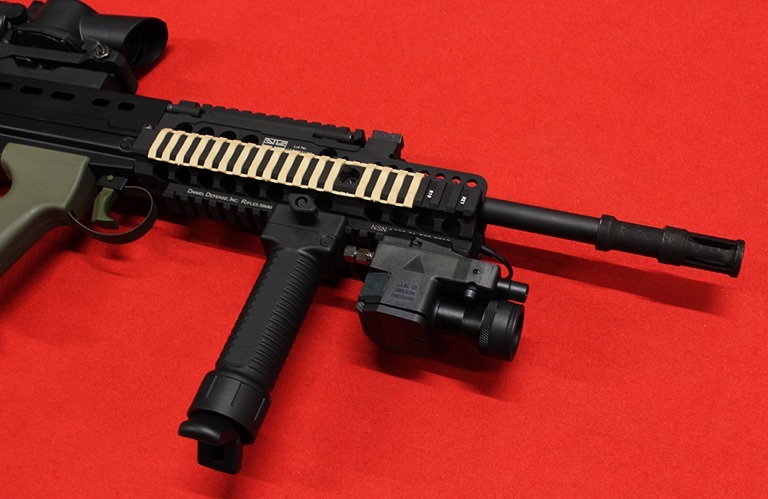 Alongside these we also carry the GK Tactical Warden Suppressor which is the shortest, coming in at 90mm long. This is a QD style suppressor that can be quickly attached via a 14mm ccw flash hider which it slots over the top of. So, Perhaps its time for an Easter Treat that isn’t made of chocolate? Check out these fantastic Products and more over on our Website: www.a2supplies.co.uk or visit us in store.